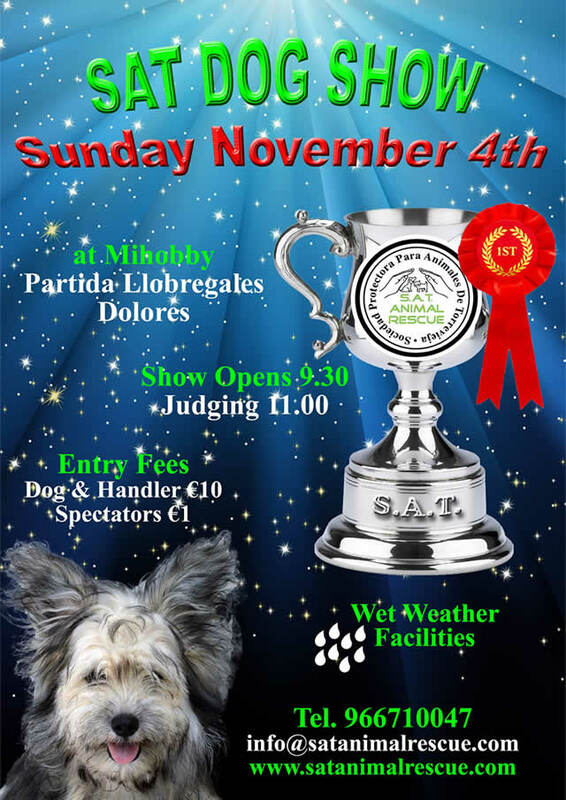 This Sunday, November the 4th, SAT Animal Rescue is holding a Dog Show at ‘Mi Hobby’ in Partida Llobregales, Dolores. The show opens at 9:30am with judging taking place at 11am. The entry fees are 10 euros per dog and handler, spectator entry is just 1 euro. Do come along and support this long-standing and deserving charity. There are wet weather facilities so the show will go on!